At Joseph Turner Primary School we aim to provide an exciting and engaging curriculum which will inspire children to nurture a passion for learning. We firmly believe the driving force behind the delivery of an interesting, creative curriculum is a clear focus on delivering excellent teaching and learning which ensures children engage in a range of learning experiences which are challenging, real life and meaningful. This enriches the education experiences of all children in our school to ensure that they become lifelong learners. At our school, we learn together that there are different pathways to success and develop perseverance by overcoming barriers. This is mirrored across all curriculum areas. We understand that ‘getting stuck’ means learning is taking place and is just part of the learning journey to success. Children at Joseph Turner Primary School embrace challenge and emulate our school motto of being ‘Eager to Learn, Proud to Achieve’. 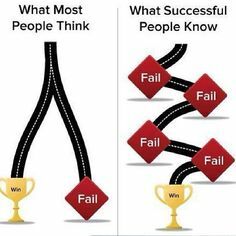 We teach that failure is a part of the learning process which ensures deep rooted learning which can eventually be applied. Joseph Turner Primary School is committed to meeting the requirements of the National Primary Curriculum in a fun, challenging and holistic way where learning is connected by careful teacher planning to meet the needs of the pupils. Teachers and support staff have received training in all areas of the curriculum. At school, we utilise and adapt the Edison Learning Connected Curriculum to meet the needs of our pupils and the ever changing challenges that they will encounter both in school and out of school. Our curriculum is underpinned by the National Curriculum (2014) and we enhance this with planned opportunities that make up the wider school curriculum. Learning is always exciting and set in meaningful contexts for the children. The rehearsal and application of skills learned in the core subject areas is a key feature of the curriculum. We also utilse wider curriculum opportunities to give children the chance to hone and practice previously learnt skills. Promote the spiritual, moral, cultural, mental and physical development of pupils at our school and of society. Prepare our pupils for the opportunities, responsibilities and experiences of later life. Provide our pupils with an introduction to the essential knowledge they need to be educated citizens. Introduce our pupils to the best that has been thought and said, and helps them engender an appreciation of human creativity and achievement. We set the highest expectations for every pupil. We aim to deepen the knowledge and understanding of the most able pupils by planning suitable learning challenges for them but also plan carefully for the needs of pupils who experience difficulty in learning. For pupils who have special educational need or disabilities, lessons are planned to ensure that there are no barriers to pupil achievement and progress. This ensures that all pupils receive a level of challenge appropriate for them to thrive. The SEND Code of Practice includes advice on approaches to identification of need which can support us with this. A minority of our pupils will need access to specialist equipment and different approaches. The SEND Code of Practice outlines what needs to be done for them. Through our exciting, stimulating and creative curriculum we aim for every child to enjoy learning and gain knowledge, skills and attributes which will enable them to lead happy, fulfilling and successful lives in the future. We live in an ever changing world and it is our aim to ensure that our pupils are ready to face these challenges and succeed in whatever they do. We take every opportunity to enrich the curriculum with outside providers, trips and visits, celebration days, whole school themed weeks and extra–curricular opportunities (e.g. book club, dance club and cooking club). This gives context to learning and also shows our pupils that education is relevant, fun and worthwhile. Communication and Language (C & L). The EYFS curriculum is underpinned by a play-based approach where children have access to all areas of learning within the classroom and in the outside learning area. We pride ourselves in our outdoor area and utilise the opportunities that this provides us on daily basis. Children will engage in self-chosen activities as well as carefully planned adult directed sessions, including phonics. The curriculum is based around four themes: the unique child, positive relationships, enabling environments and learning and development. Learning Units are planned in great detail to take account of children’s interests and skilfully link all the areas of learning. The children are continually observed and assessed by teachers and support staff so that they progress rapidly towards achieving the ‘Early Learning Goals’ by ensuring that 'next steps' are planned and taught to every child. In Key Stage 1 and 2 we make links across the curriculum through six Learning Units over the academic year. All children are taught English skills (Reading and Writing including Spelling, Punctuation and Grammar) and Mathematics skills daily. In Key Stage 1, all children have a daily phonics session and the school has adopted the ‘Read Write Inc’ scheme in order to teach this crucial element of reading in a systematic and consistent way. Some children in Key Stage 2 may also benefit from daily phonics sessions to support their development of reading skills and we utilise the Read Write Inc phonics programmes is order to ensure a consistent approach across the school. Reading and phonics are the keys to accessing the curriculum and being successful in many ways. The Mathematics curriculum aims to ensure that all pupils become fluent in the fundamentals of Mathematics including the ability to recall and apply knowledge rapidly and accurately. Teaching the children to be mentally agile is central in our Maths teaching philosophy at Joseph Turner. Key, progressive strategies are consistently taught across school to ensure that children are equipped adequately to thrive and make progress. Mastering these key strategies are the building blocks that enable the children to become truly agile mathematicians. Children at Joseph Turner are taught to apply their skills to reasoning, solve problems and to apply their mathematical skills in a variety of real life contexts. Through our Learning Units, we also teach the primary national curriculum programmes of study for Science, History, Geography, Art and Design, PE, Music, Computing and PSHE (Personal, Social, Health and Economic Education). In addition children are taught Religious Education and the school follows the Sandwell Agreed Syllabus for RE. All children in Year 3 have a weekly music lesson taught by a skilled peripatetic music teacher in which they are taught how to play the recorder. All children in Year 4, Year 5 and Year 6 have weekly music lessons for one term with a skilled peripatetic music teacher in which they are taught how to play the ukulele. Woodwind, strings and brass tuition is also provided for children in upper Key Stage 2 who demonstrate a musical ability. PSHE (Personal, Social, Health and Economic Education) forms an integral part of the curriculum at Joseph Turner Primary. It helps to give pupils the knowledge, skills and understanding they need to lead confident, healthy, independent lives and to become informed, active, responsible citizens of our community and the wider world. All staff members are committed in teaching the children the value of having good learning behaviours and also taking responsibility for their own actions. At Joseph Turner Primary School, children develop a strong sense of moral purpose in addition to a respect and understanding of people who have different characteristics to themselves, whether that be age, disability, gender, race or sexuality. A rigorous, well planned curriculum, delivered within a caring, supportive ethos which enables our pupils to be well rounded, empathetic young people who have a thirst for learning and respect for all around them. SMSC (Spiritual, Moral, Social and Cultural) development including British Values is an integral part of the curriculum and the ethos of the school. The fundamental British values of democracy, the rule of law, individual liberty, mutual respect and tolerance of those of different faiths and beliefs are promoted through our school curriculum, and our whole school ethos. Please read the section in 'Learning' to find out more about SMSC and British Values at Joseph Turner. aim to develop children’s enjoyment, confidence and skill in physical activity and introduce them to the pleasures of sport to help develop active children who benefit from a healthy lifestyle. Through a multi-skills approach, children develop their skills in football, tennis, badminton, basketball, rugby, hockey, rounders and volleyball, as well as circuit training athletics, gymnastics, dance and swimming. Children have two sessions of PE per week. Pupils in Year 4, 5 and 6 have swimming lessons. They are taught swimming by trained instructors at the local swimming baths. Another integral, key aspect of our PE curriculum is Yoga. All year groups have the opportunity to participate in a progressive unit of yoga that not only supports well-being, but also physical strength and flexibility. The Primary National Curriculum states that all Key Stage 2 pupils must learn a Modern Foreign Language, at our school, this is French. Curriculum Objective Overviews for each Year Group can be viewed within this section of the school website and further information regarding the Primary National Curriculum can be found at www.gov.uk. Each year group also has a page on the school website that is dedicated to celebrating our broad and balanced curriculum and also supports children, parents and carers with learning at home.